Almost 8,000 drivers on Irish roads today are driving with multiple concurrent disqualifications on their licence, new figures from the Road Safety Authority show. Unaccompanied learner drivers accounted for more than 111 serious or fatal crashes since 2014, Department of Justice figures show. Last year's fatalities marked a 15% increase on the previous year. It is hoped that a new Road Traffic Act, which has just come into being, can reverse last year's upward trend. From now on car owners who give their vehicle to an unaccompanied learner driver will be held accountable in law. 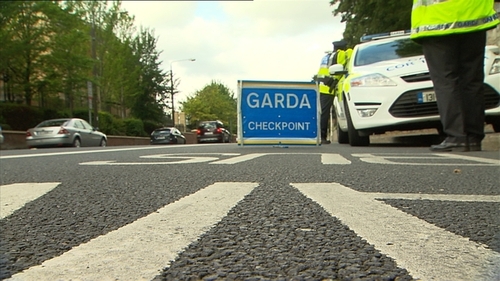 Minister for Transport Shane Ross has said that he needs an assurance from the gardaí that adequate resources will be provided to enforce new road traffic legislation. Speaking on RTÉ's Six One News, Mr Ross described as shocking the latest figures and said the Government will do everything to reverse "a tragic situation". He said: "This is a chronic situation where people are abusing alcohol and going out and driving uninsured in some cases, disqualified in other cases and the gardaí recognise that. "I'm absolutely certain that they are going to respond to this crisis and we are going to make sure that they do." AA Ireland Director of Consumer Affairs Conor Faughnan has said the new act amounts to just "ink on paper" unless it is properly enforced. Speaking on the same programme, he called for an improved centralised database for gardaí. He said: "Gardaí actually have the technology, if you drive past a garda car there's a camera in that garda car that can read your registration number, but it's no good unless it can talk to an intelligent database. "So a garda should have in the palm of their hand when they stop a car - is that car tax compliant, NCT compliant, is it insured and who's insured to drive it."